Richard Wagner (1813-1883) was the dominant figure of German opera in the 19th century. His art and writings had an enormous impact on music, opera, theatre, design, painting, literature, politics and philosophy that still reverberates today. There is an annual festival at Bayreuth in Bavaria in the Festival Theatre designed by Wagner for the performance of his music dramas (and those of other selected composers!) . It opened in 1876 with the premiere of Der Ring des Nibelungen as a complete cycle. The Wagner Society of Scotland was founded in 1984 under the chairmanship of the late Derek Watson. In 2013, after Derek’s retiral, a new Committee was elected, with Dale Bilsland as Chair, serving until the 2017 AGM when Derek Williams was elected. Our patron is Edinburgh-born, internationally renowned conductor Donald Runnicles OBE; honorary members are Richard Armstrong CBE, Lady Veronica Gibson, Linda Esther Gray, Sir Brian McMaster CBE and John Wallace CBE. 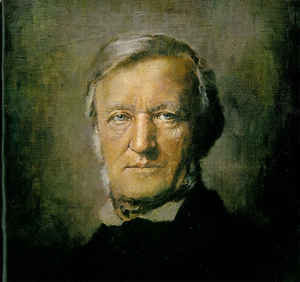 The Society’s aim is to promote the knowledge and appreciation of the life & works of Richard Wagner. We hold meetings monthly from September to June/July and a residential study course in the summer. Meetings are held on Sundays at 7.30pm at the Edinburgh Society of Musicians, 3 Belford Road, Edinburgh EH4 3BL. We hold a residential weekend summer course each year studying one of Wagner’s operas in more detail. You can find more details about the courses here. We issue around four Newsletters per year. These can be viewed by clicking the newsletter tab. We have issued four volumes of a scholarly Journal since 2003 and a Bulletin in 2103. You can read about these publications and how to obtain copies here. Suggestions for improvements from members are always welcome and should be sent to the Chair and/or Secretary.